Over 100 false twitter accounts are spreading propaganda on Tibet and have been identified by the advocacy group Free Tibet. A series of photos and videos have been posted from these accounts purporting to show the Tibetan people’s contentment with life under Chinese rule. There also links to articles attempting to discredit the Dalai Lama. While twitter has since suspended many of these accounts, it may mark a disturbing new strategy by the Chinese government to use social media to defuse criticisms over its treatment of Tibet. There’s a lot to admire about Tom Hugo, and not just the washboard abs that are a glaring feature of his Twitter account profile photo. For starters, Tom Hugo seems to be well-versed in Chinese, and he evidently cares deeply about the Tibetan people, judging from the profusion of messages he has posted on Twitter in recent months: There are photographs of Tibetans in “unique exotic dress,” articles showcasing the Tibetan people’s deep appreciation for China’s governance of the region and video clips that portray happy Tibetans singing and dancing on state-run television. “Tibetans hail bumper harvest of highland barley,” read the headline on one recent posting. There’s only one problem with Tom Hugo’s Twitter account: It’s fake. The visage accompanying the account belongs to a Brazilian model named Felipe Berto, and nearly every video, article and photograph the ersatz Tom Hugo tweets comes via propaganda websites linked to the Chinese government. The ruse is not an isolated one. 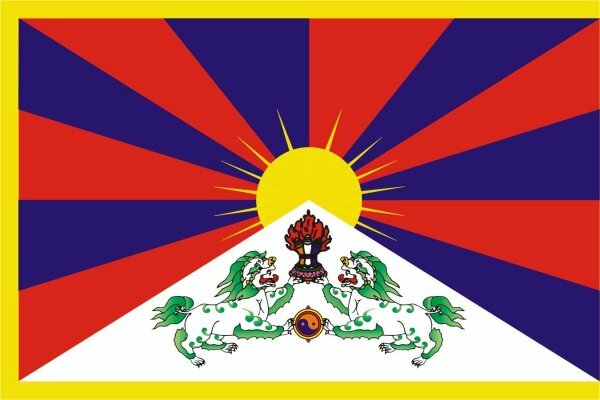 In recent days, Free Tibet, an advocacy group based in London, has identified nearly 100 similar sham accounts whose sole purpose appears to be disseminating upbeat news and treacly stories about Tibet and Xinjiang, the region in far-western China whose native Uighurs, like the Tibetans, have bridled under Beijing’s heavy-handed rule. The Twitter page of Tom Hugo, who is not a real person. The image shows a Brazilian model named Felipe Berto. Although there is no direct evidence to link the Chinese government to the phony accounts, the content and breadth of the effort would suggest the involvement of a state actor. The subterfuge is not dissimilar to that carried out by members of China’s so-called Fifty Cent Party, the government-paid lurkers who earn 0.5 renminbi per posting on Internet message boards and chat rooms in an attempt to sway public opinion on issues deemed politically delicate by the Communist Party. “I genuinely struggle to think of anyone else who would stand to gain from this,” Mr. Currie said of the fake Twitter accounts. An employee of Wuzhou Media Corporation, the Beijing company that creates the websites often featured in such tweets, said he knew nothing about the bogus accounts. But in an interview, he suggested that such tactics fit in well with the company’s mission of producing propaganda tailored to Western audiences. “We use a tone and style that’s easier for foreigners to accept,” said the employee, who would give only his surname, Yu. The company, he said, has a staff of nearly 300 people. The Foreign Ministry and the State Council Information Office, the government agency that regulates the Internet in China, did not immediately respond to interview requests on Monday. The use of fake Twitter accounts would also appear to dovetail with China’s increasingly sophisticated effort to present the country in a more flattering light while trying to bring the world around to its point of view on thorny issues, among them the continuing territorial dispute with Japan and widespread perception in the West that China restricts religious freedom and represses ethnic minorities like Tibetans and Uighurs. In recent years, the government has sprinkled hundreds of college campuses across the globe with Confucius Institutes and financed overseas newscasts of the national broadcaster CCTV in a half-dozen languages. In the most recent soft power push, state-owned film companies have formed a partnership with Hollywood to produce blockbusters like “Transformers: Age of Extinction” that feature Chinese actors. The Twitter page for Felix James, one of nearly 100 similar sham accounts identified by Free Tibet, an advocacy group based in London. But when it comes to leveraging Western social media outlets like Twitter, Facebook and YouTube — all of which are blocked here — Beijing’s efforts would appear to be a bit ham-handed. On Twitter, many of the fake accounts identified by Free Tibet use stock images or headshots found on the sites of commercial photographers in the United States. Others employ the likenesses of actors like Erica Durance, who played Lois Lane in the television series “Smallville,” or in one case, Syd Barrett, the lead vocalist of Pink Floyd, who died in 2006. Oddly, many of the Twitter handles, like Oliver Nina, Felix James and Philomena Rebecca, appear to be created through the combination of two first names. Nearly all the profile images are those of Caucasians. Fake accounts on Twitter are not new; some experts estimate that as many as 9 percent of all Twitter handles are made up, although the company says the figure is under 5 percent, according to its securities filings. Jim Prosser, a spokesman for Twitter, said the company works hard to weed out illegitimate accounts and sometimes takes legal action against those who abuse its rules. “We have a variety of automated and manual controls we constantly use to detect, flag and suspend accounts created solely for spam purposes,” he said in an email. It’s hard to say whether the counterfeit Twitter accounts that disseminate pro-Chinese propaganda are having the desired impact. Tom Hugo, the shirtless wonder, has more than 2,600 followers, but many appear to be fellow fraudsters who retweet the same material. One recent tweet, an article that described the Dalai Lama as a “chess piece” used by the United States to contain China, was retweeted 6,500 times. Most of the accounts, however, are more like that of the putative Felix James, who has just a few dozen followers and who seems to rarely get retweets of his bland postings about tourist attractions in Tibet (although perhaps it’s because his profile photo, a man with a cellphone glued to his ear, is a stock advertising image that can be found on scores of websites, including those selling curtains, shipping containers and telecommunications software). In interviews, several genuine Twitter users who follow the fake ones said they were not entirely surprised to learn they were following pro-China propagandists. Some, like Scott Eddy, a consultant who helps entrepreneurs expand their social media footprint, said they simply follow anyone who agrees to follow them. “I’m pretty aggressive when it comes to building a fan base,” Mr. Eddy, an American who lives in Bangkok, said in explaining how he ended up with 479,000 Twitter followers.